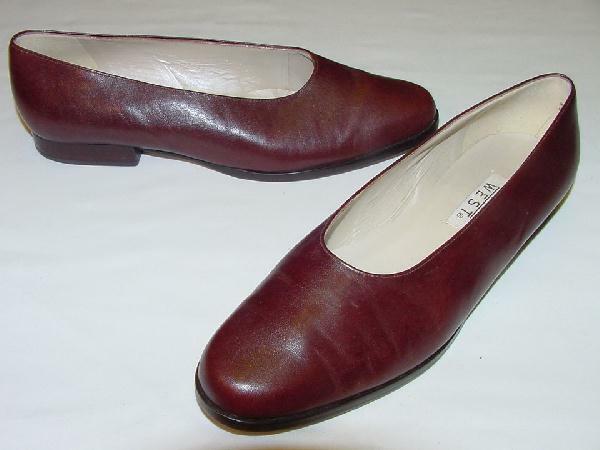 These reddish brown high-vamp leather flats have a bone color lining. They have rounded toes and were made in Brazil. An English model wore them with pants or wool skirts and tights.